Billboards are typically used for marketing, but if you live in the Triad, you may have noticed some different messages along interstate 40 this season. 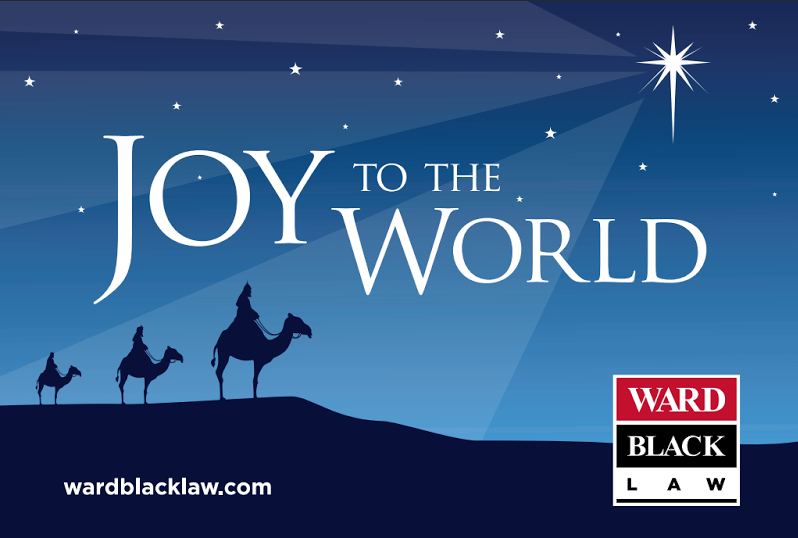 Ward Black Law and several other Christian companies are aiming to remind people of an important Biblical truth. Our billboard, proclaiming “Joy to the World,” is a roadside reminder of good news. We have opted to utilize this billboard space to share the Christmas message for three years now. Janet Ward Black, our managing attorney, originally got the idea from a C12 National Conference in Dallas. While in Texas, she heard a restaurateur talking about how he purchased billboard space — not to generate business at his restaurants — but to simply share joy and truth with all who passed by. This man inspired our firm to do the same. Ward Black Law is not the only business participating in this endeavor! There are a total of 17 Christmas-themed billboards in Guilford County, and a number in surrounding counties. It is encouraging to see that, rather than advertising, companies are focused on reaching the community with the Gospel this season. We have gotten phone calls and emails throughout the season from people simply thanking us for putting up the billboard. This is a testament to sharing a message of hope and peace. We wish you a new year of joy, hope, and peace.